Community Radio Stations are owned, and driven by the communities they serve. No one can make money from Community Radio but in a community radio station, young and old, with all abilities, backgrounds, and interests, can come together to make a difference to their community. In making that difference, those involved develop not just confidence and competence in broadcasting skills, but skills for the new economy (communications, IT), skills for active citizenship, and skills for social inclusion. The communities they serve and the groups and individuals within those communities gain a voice with which to be heard. They gain diversity in the programming available, and they gain a forum for sharing experience, discovering fresh perspectives, and supporting community activity. Cavan Community Radio is a not for profit community radio station which serves Cavan town and its surrounding areas. 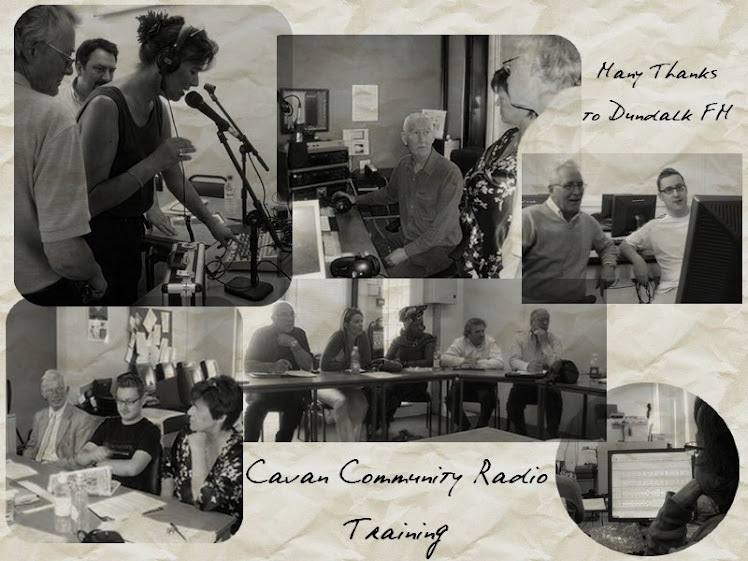 Cavan Community Radio made its first broadcast between 4.00pm & 6.00pm on Thursday 24 June 2010 on 101.6MHz FM after a lot of hard work and dedication from a fantastic team of volunteers who worked tirelessly to secured a licence and make so many wonderful programmes. Cavan Community Radio secured a temporary license to broadcast in 2010 held by Cavan Community Forum. In 2011 Cavan Community Radio secured a 100 day licence with the Broadcasting Authority of Ireland which will allow us to broadcast till December 2012. Cavan Community Forum secured funding for Cavan Community Radio from the International Fund for Ireland to provide training for two years to cross community groups that will enable them to produce radio programmes that reflect their historical and cultural experience and enable them to promote their active interests in the wider community. Please see the training page on this website for further details.